Having received my primary education from Saraswati Shishu Mandir, school besides known for great education and child development, is also known for cultivating the national service in children. However, the ways in which one could serve the nation were plenty including participating in NCC (National Cadet Corps). During my first overseas posting, I discovered that in many developing and developed countries National Service is also a very defined practice in which citizens need to participate in military operation in some shape and form to really serve the nation. I am not sure of the details of what happens in the national service duration, but I always felt that it was a great practice in those countries. Now I come to the point why I am talking about it. For the past several years I am observing a need of boosting children’s capability in schools with respect to their readiness in the industries of their choice. While our schools and colleges are doing a fantastic job, they could get benefited by some help straight from the industry. In most of the companies there are people who have a coaching acumen, attitude as well as desire to provide their services to children in schools. There are some nonprofit branches in those companies as well as independent NGO to channelize these resources to help children, but not enough to trap the entire resource pool. Moreover, there is a need to organize the usage of these resources at national level a bit formally and consistently. 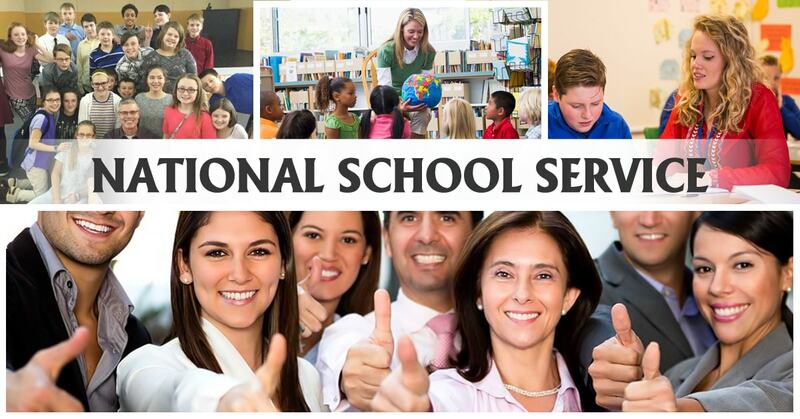 So what about we draw a parallel to National Service in the form of National School Service? Industry to support the funding for this cause by way of not deducting salary of this time off, as the benefit will be most likely to be received by the industry. Of-course the devil is in the details, but there is no harm in trying this out without shaking the entire ship. Just let the people, who would like to register for it, do the ground work and we will be surprise to see a great outcome. I am sure that several school principals will be glad to receive this organized help. Please add your details below and we’ll get back to you.